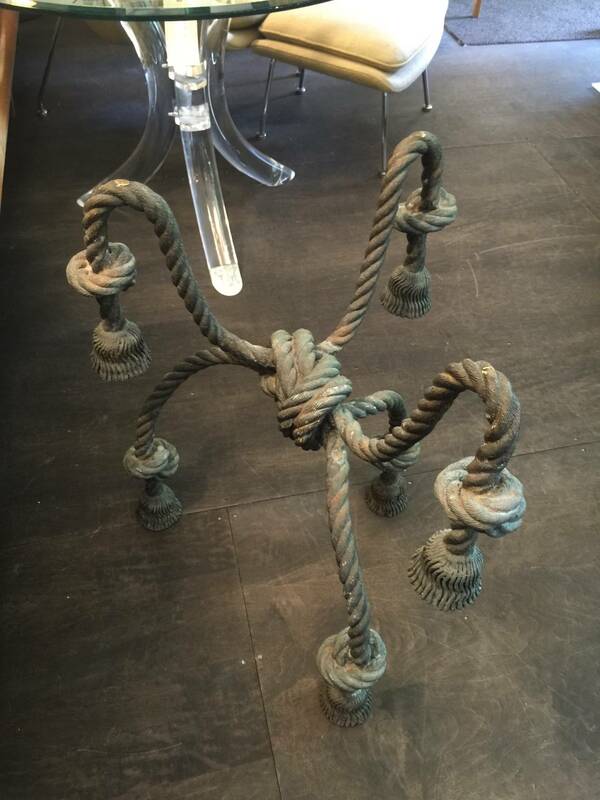 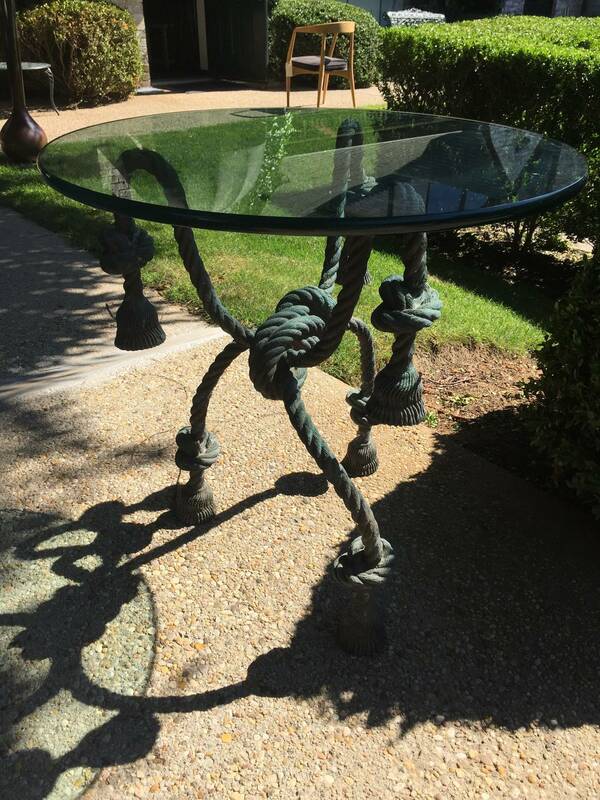 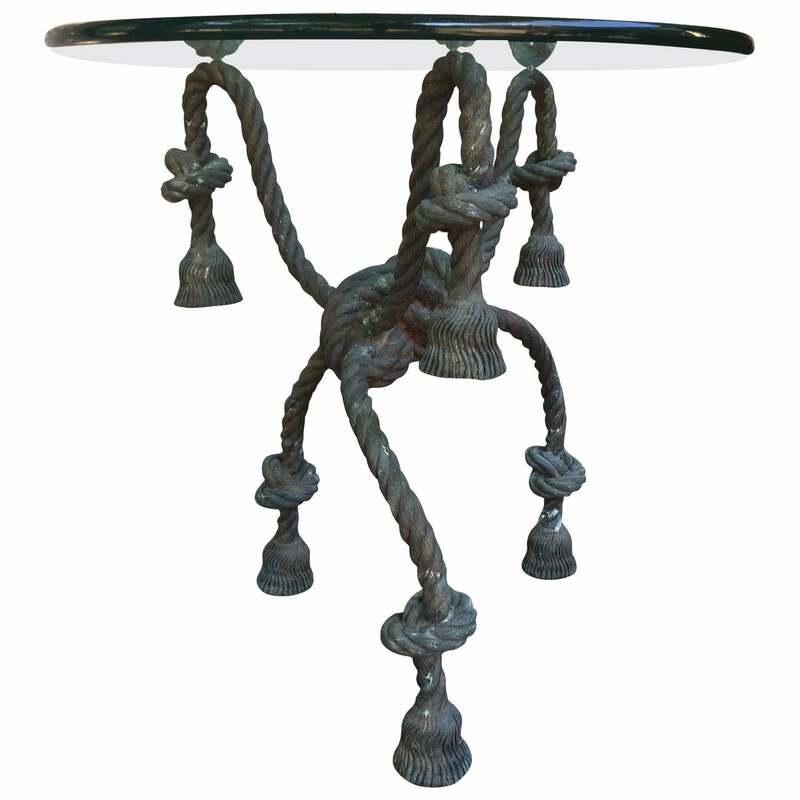 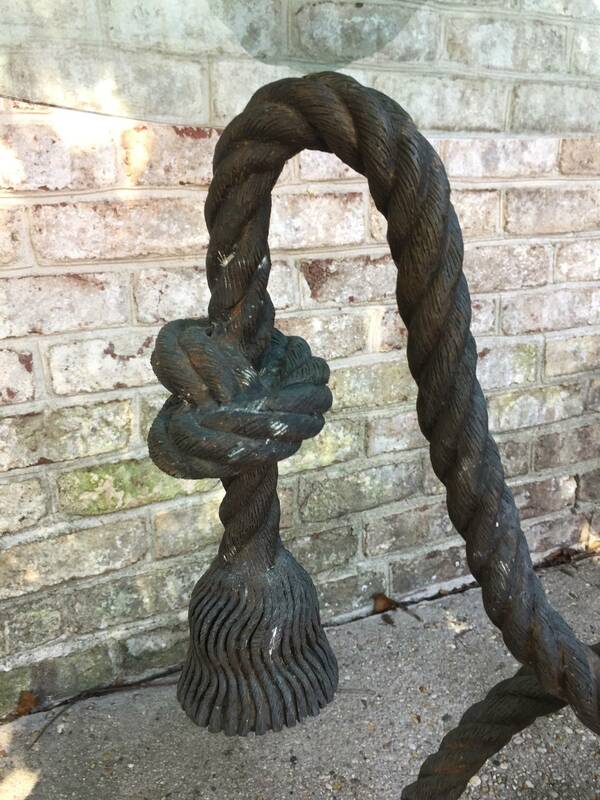 Three legs and very realistic and ornate, this patinated bronze rope and tassel-like table base has beautiful proportion. 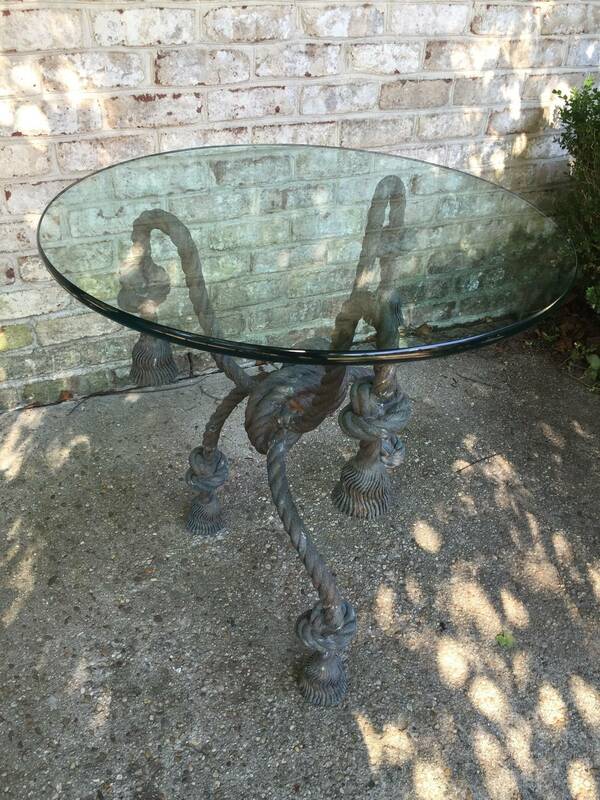 normal scratches to glass from years of use, easily replaced if desired. 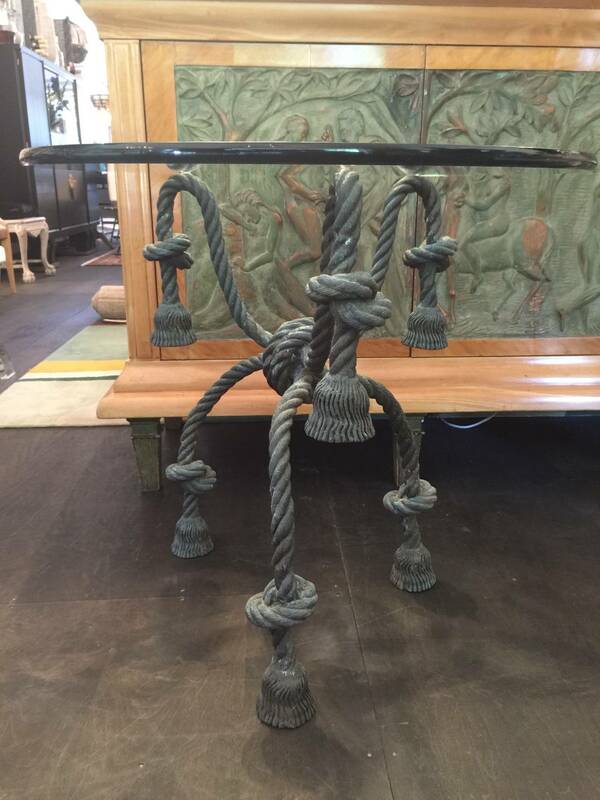 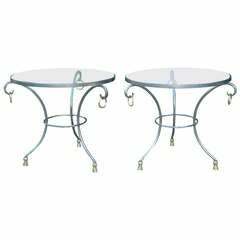 Adorned with brass rings and tasselled sabots, these steel gueridon side tables are exquisitely stylish. 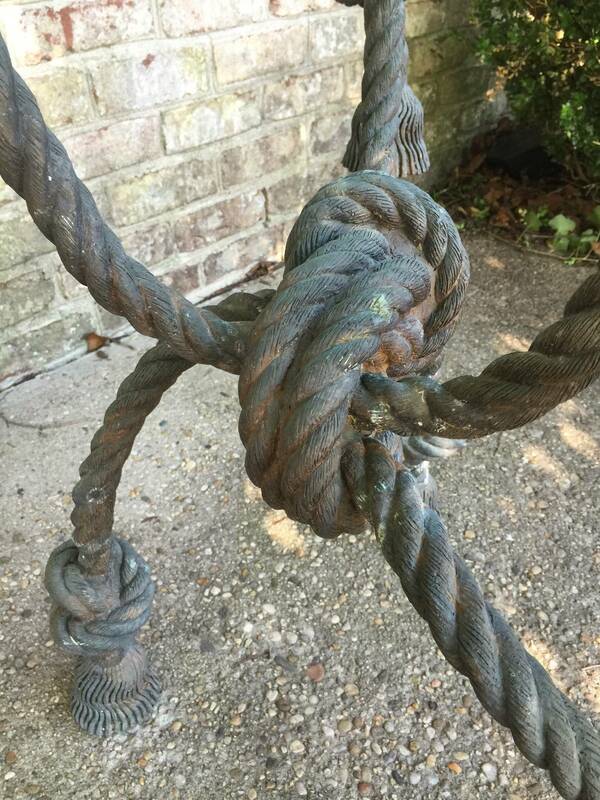 Showing appropriate patina and wear - very stylish and desirable. 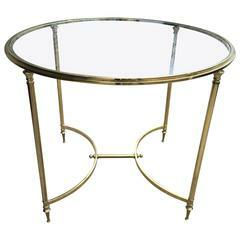 A Classic French Maison Jansen style made in brass with glass top, this is a small dining or side table that could be placed in any decor. 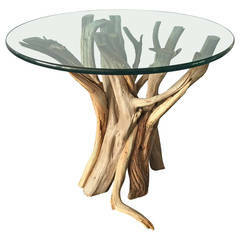 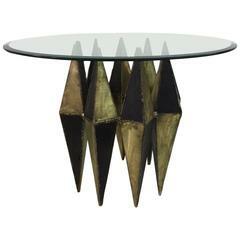 Made from driftwood branches, this free flowing organic table base is topped by a 3/4 inch round edged green glass. 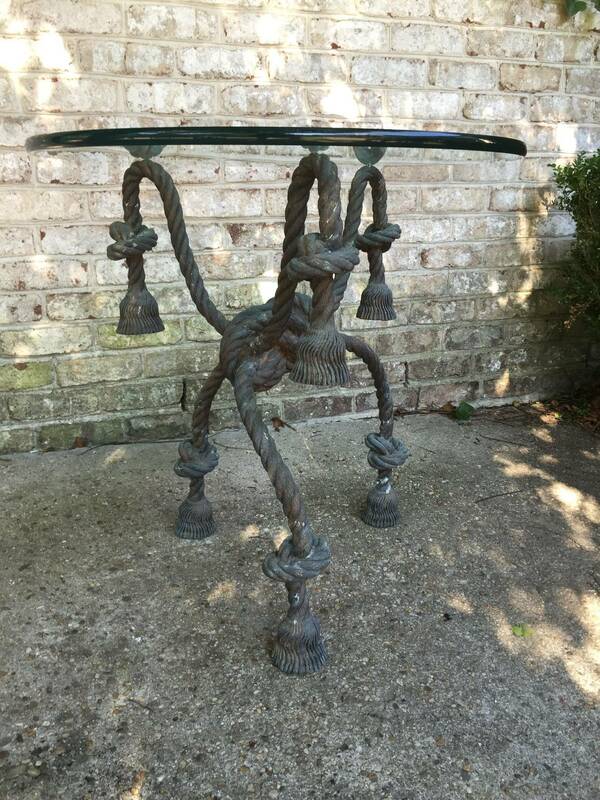 Antique French gilt bronze and marble Gueridon center/side table with eagle heads and feet H 29 x D 29". 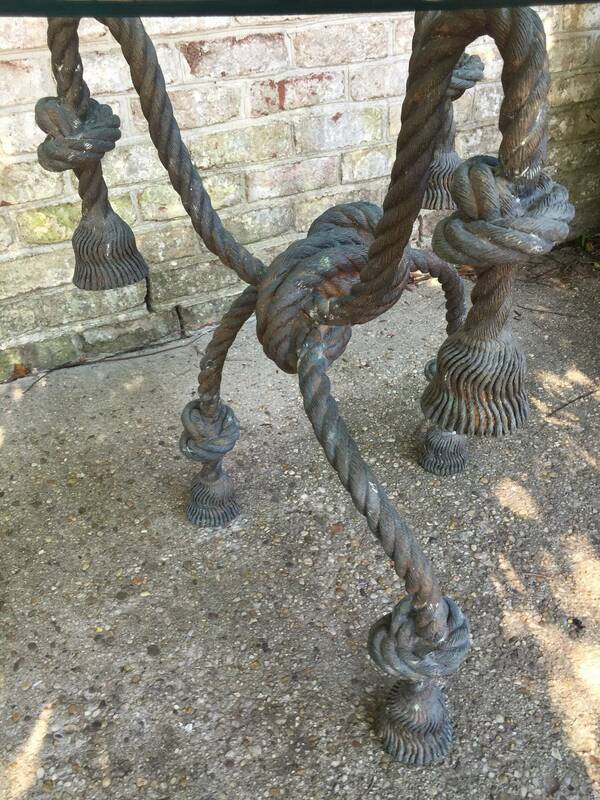 Gilding in very good condition.